The government will support a backbench amendment to the Brexit deal that calls for the planned Irish backstop to be replaced by “alternative arrangements”. Tory MPs will be told to vote for Sir Graham Brady’s proposal when the Commons votes on a series of amendments to Theresa May’s plan on Tuesday. The government will also order its MPs to vote against a move which could delay Brexit by up to nine months. But Commons Speaker John Bercow will decide which amendments get voted on. Senior EU representatives have repeatedly ruled out re-opening negotiations with the UK over Brexit, and insisted the backstop – the insurance policy against a return of a hard border between Ireland and Northern Ireland – must be included in any deal. MPs have been tabling amendments to the government’s plans to try and influence the direction of Brexit since Mrs May lost the vote on her original deal earlier this month. After Mr Bercow decides on Tuesday which ones are put forward, voting will take place on them from 19:00 GMT. The prime minister’s official spokesman said it will be followed “as soon as possible” by a second meaningful vote on whatever deal has been secured with Brussels. Mrs May addressed a meeting of her backbench MPs on Monday night and numerous sources told the BBC’s political correspondent Iain Watson that she would be backing what is known as the “Brady amendment” – a measure put forward by Sir Graham Brady, the chairman of the backbench 1922 committee of Conservative MPs. Sir Graham wants to see the Irish backstop replaced by what he calls “alternative arrangements to avoid a hard border”, but would otherwise support the prime minister’s deal. 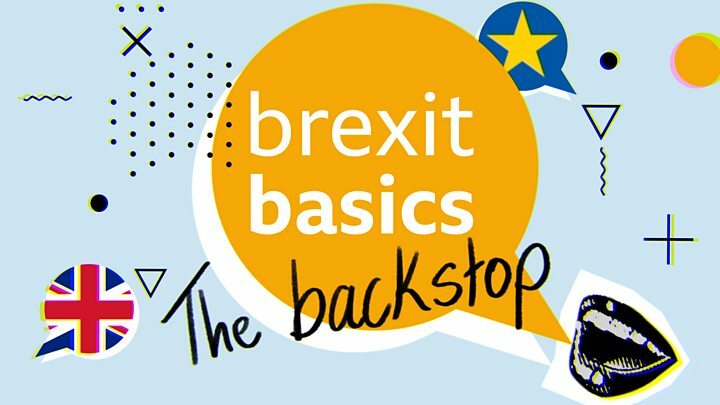 As a result of government support, Tory MPs John Baron and Andrew Murrison have dropped their amendments – which proposed a time limit to the backstop and the ability to leave the arrangement at a time of the UK’s choosing. The prime minister appealed to her MPs to give her something to take back to Brussels for further discussions, saying “don’t just talk about it – you have to vote for it”. Speaking to BBC News, Sir Graham said he hoped the backing from the government would see the DUP – who Mrs May relies on for support in Parliament – get behind his amendment. And some Labour MPs had already expressed their support to him as well. “This is a sensible way of reaching some compromise and trying to move things on in the national interest,” he added. But Eurosceptic Tories have already said they will not back the amendment. The European Research Group, led by Jacob Rees-Mogg, said they want the government to table its own amendment that would commit to reopening the withdrawal agreement – the part of Mrs May’s deal that lays out how the UK will leave the EU – to remove the backstop. They are meeting on Monday night to discuss their position further after hearing from Mrs May. Mrs May has also faced calls from Labour, and a number of other MPs, to rule out the scenario where UK leaves the EU on 29 March without a deal. A number of Remain-backing MPs are supporting an amendment by Labour MP Yvette Cooper, that would create a bill enabling Article 50 – the mechanism by which the UK leaves the EU on 29 March – to be delayed by up to nine months if the government does not have a plan agreed in Parliament by the end of February. Some, including Work and Pensions Secretary Amber Rudd, had called for a free vote on such an amendment, allowing them to give it their backing. And in an interview with BBC’s Newsnight last week, Ms Rudd said she would not rule out resigning over the issue. Justice Secretary David Gauke also said MPs should be able to vote according to their personal views. But Mrs May told the meeting that the government would be whipping against it – meaning it would not be a free vote. Mrs May took the deal she had negotiated with the EU to Parliament on 15 January for a “meaningful vote” – having delayed it from December – but MPs rejected it by 432 votes to 202. The main sticking point was the backstop – the “insurance policy” intended to ensure that whatever else happens, there will be no return to a visible border between Northern Ireland and the Irish Republic after Brexit. Both the UK and the EU believe that bringing back border checks could put the peace process at risk, but critics of the plan say the backstop could tie the UK to many EU rules indefinitely. But the Irish deputy PM Simon Coveney has said changes to the backstop proposal would not be acceptable. 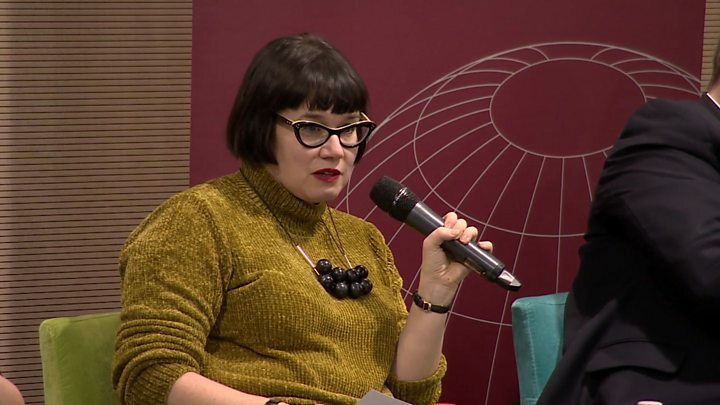 The EU’s deputy chief negotiator Sabine Weyand also said on Monday that there was a high risk of the UK crashing out of the EU without a deal by accident and that other options for the Irish border had been extensively discussed with her UK counterparts during negotiations. She said there was “full ownership of what was agreed” in the EU, but “no ownership” of it in the UK Parliament. And she added that the EU side were agreed that a time-limit to the Irish backstop defeated the purpose of having one.